Rod Stewart and Penny Lancaster allegedly nearly called it quits because he was dating supermodel Caprice Bourret at the same time. 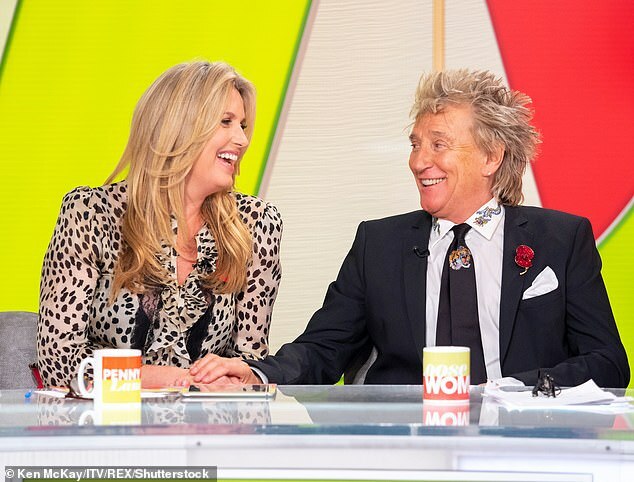 Following his split from his first wife Rachel Hunter, Rod, 73, began dating both Caprice and Penny in the summer of 1999. However Penny, 47, gave Rod an ultimatum and told him ‘it’s me or her’, during the early months of their relationship, reports the Sun. Insiders close to the couple told the outlet that the reason he chose Penny was because she gave him a better manicure. Rod had previously revealed that he had a fling with another woman before completely committing to his wife Penny. When Penny confronted him about a suspicious picture of him with Caprice in Marbella, Spain, Rod told her it was just one of his daughter’s friends. A friend of Caprice said that she was at the height of her fame when Rod called and asked her out on a date. She dumped her boyfriend for Rod and immediately told him she would go out with him, with the pair hitting it off straight away. After Caprice introduced Rod to her mum he suddenly stopped returning her calls, leaving her with a wounded ego. However she was even more heartbroken when a friend told he that he was dating Penny because she gave him manicures. The friend said that Rod’s pals couldn’t believe he was dating Caprice and would listen up against the bedroom wall as the pair made love, high-fiving him afterwards. The source claimed that he became known as the Scottish Stallion by his friends after his tryst with Caprice. Despite choosing Penny, Rod always treated Caprice well and she doesn’t have a bad word to say about the crooner. She is now married to Ty Comfort, with whom she shares two children, and is pleased that he chose Penny back then.